So, you now own a Lanier's Fountain Pen and you love the writing effect it produces. But what about the ink refills? Fountain Pen Ink refills are easy to obtain through Lanier's and we make sure we have the best for our customers. Whether you like to write in the contemporary style or writing on the go we have the perfect inks to choose from. 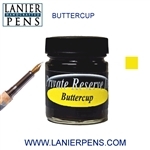 We all live very busy lives and this holds true even if you own a Lanier's Fountain Pen. Having to travel for business and even pleasure can make one wonder how they will be able to write with their beautiful fountain pen. Lanier's has already thought of the solution! We carry Private Reserve Fountain Pen Cartridges. If your fountain pen runs low just take out one of your cartridges and snap a new one in. It is so quick and simple and no time is wasted. If you write with your left hand and not the right then there is a solution for you too. The smudges you tend to get can be eliminated with our ultra fast drying inks. 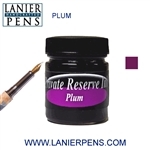 This is also great ink if you have a writing task that you want the ink to dry very fast on.